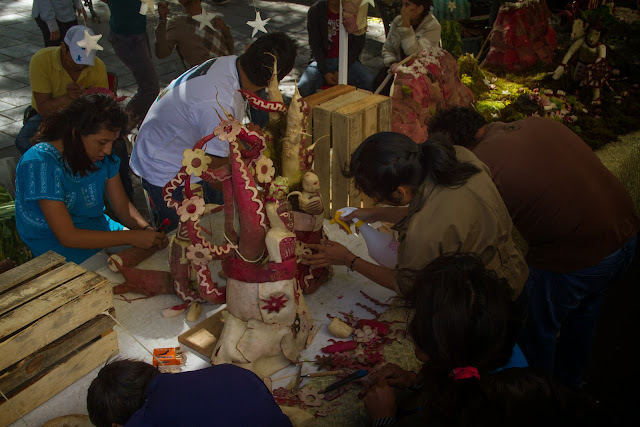 La noche de los rábanos happens every 23rd of December in the Zocalo of Oaxaca. 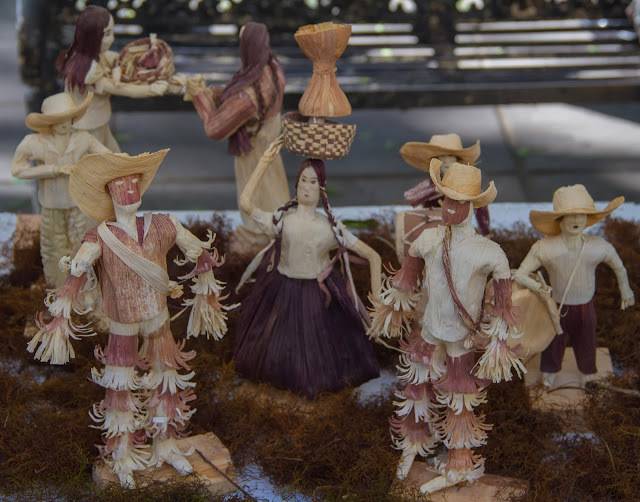 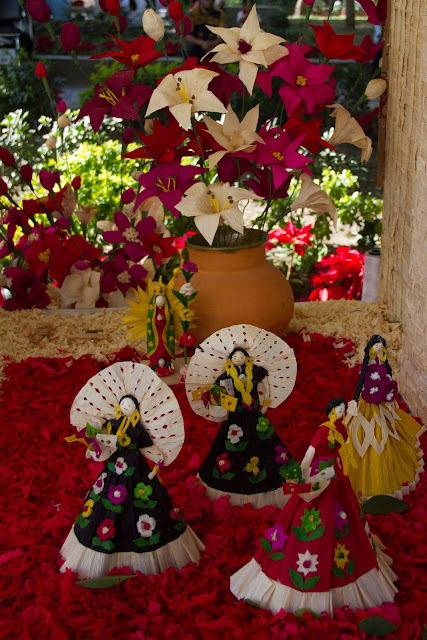 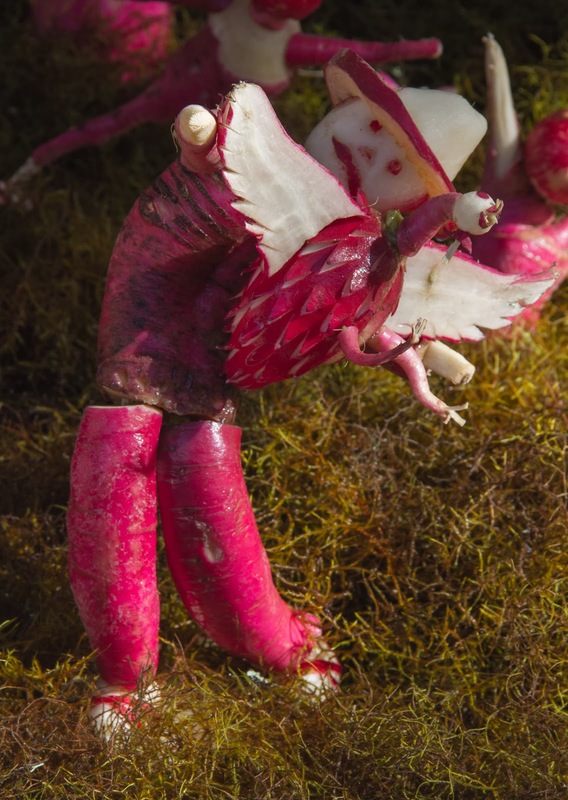 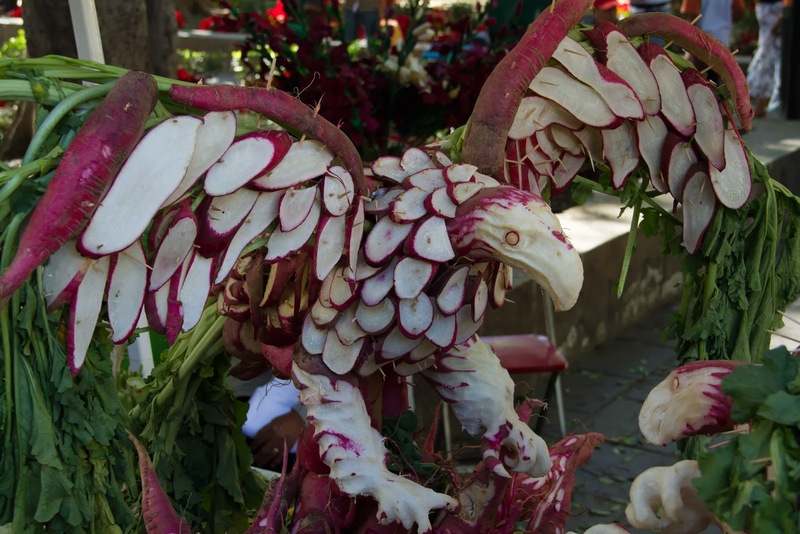 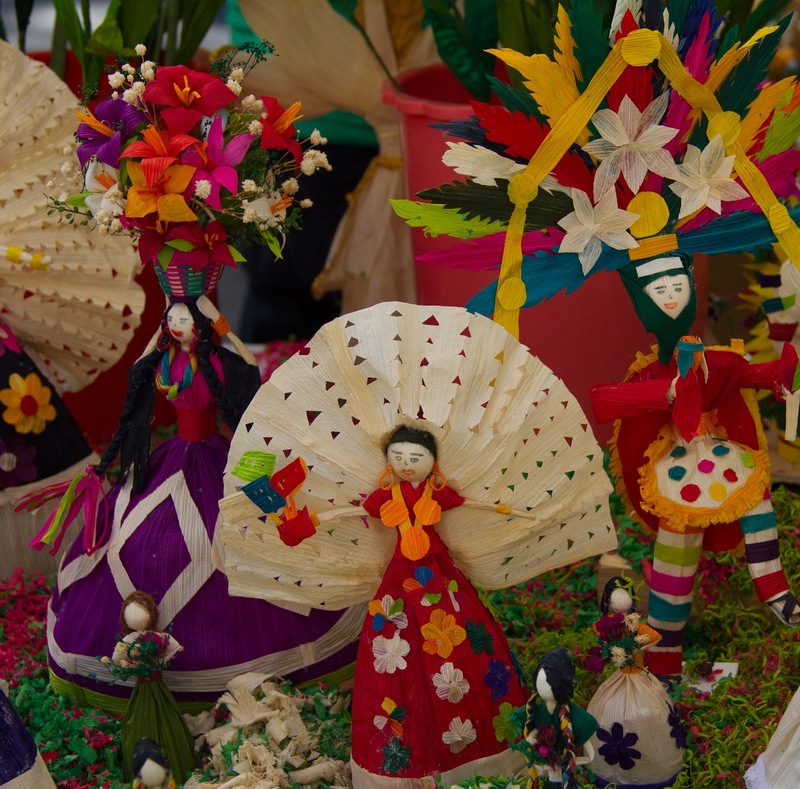 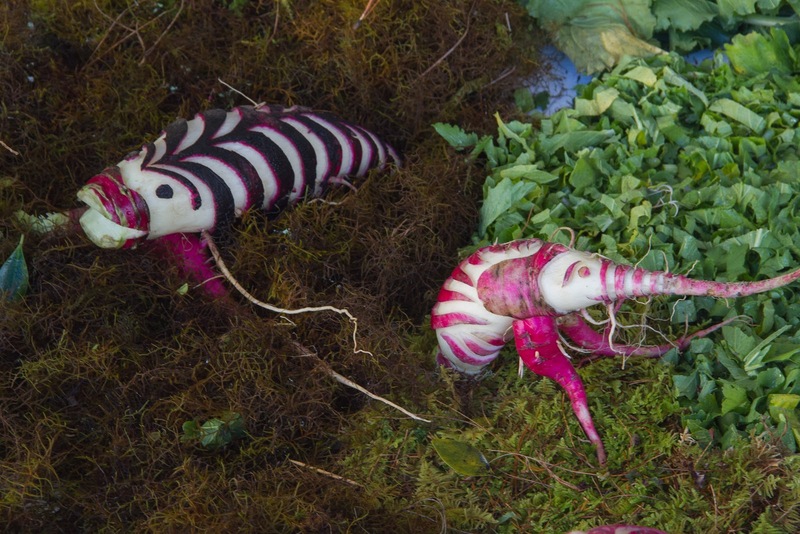 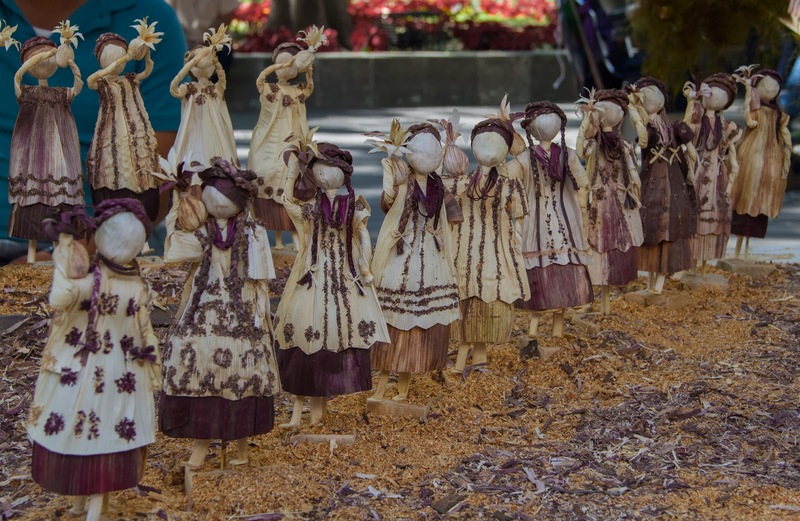 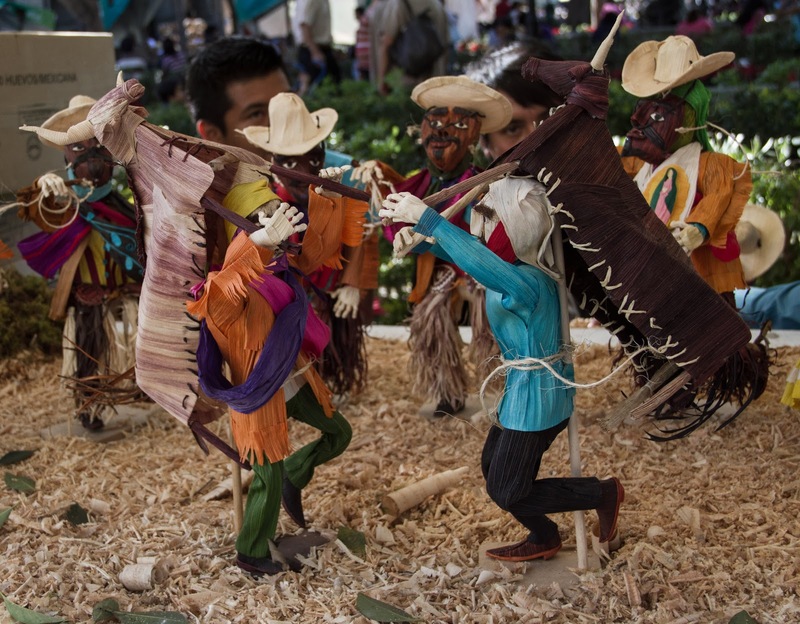 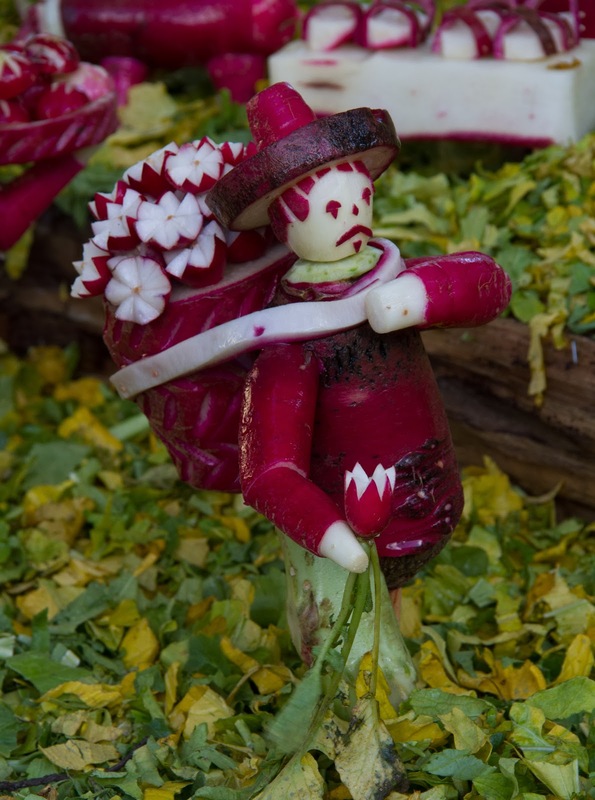 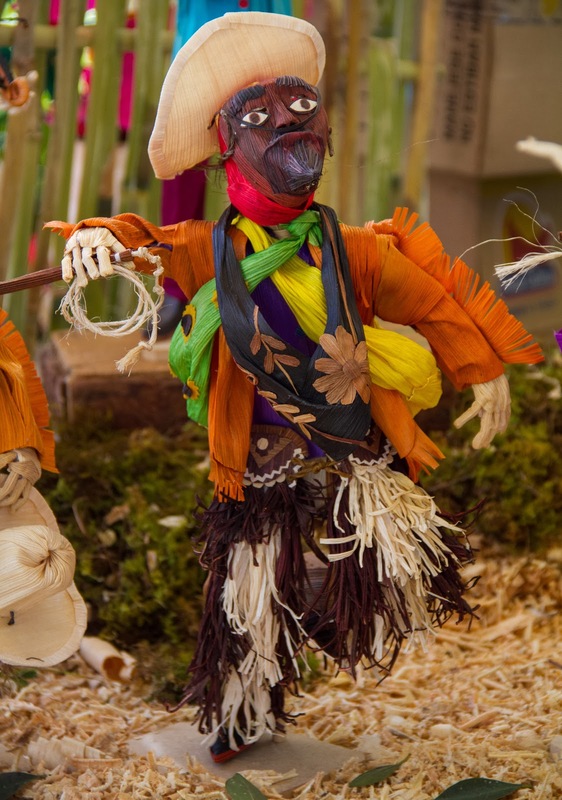 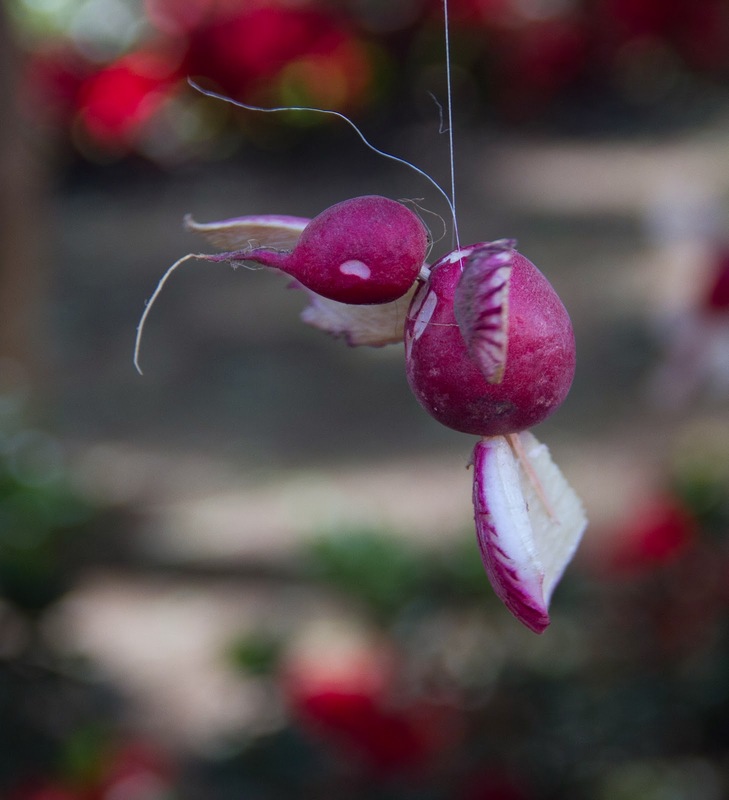 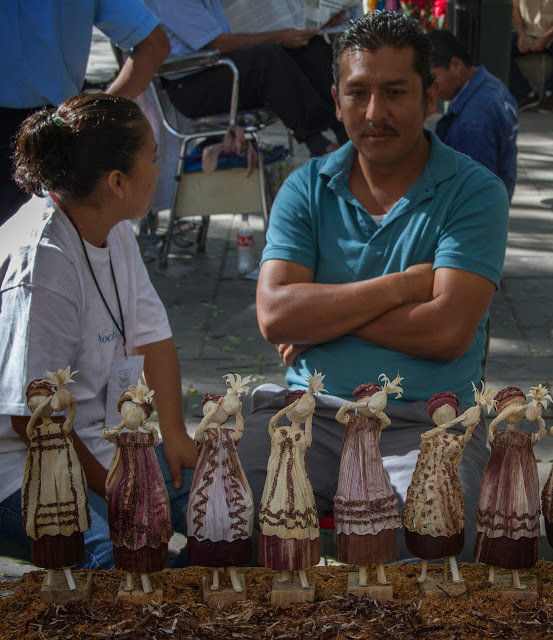 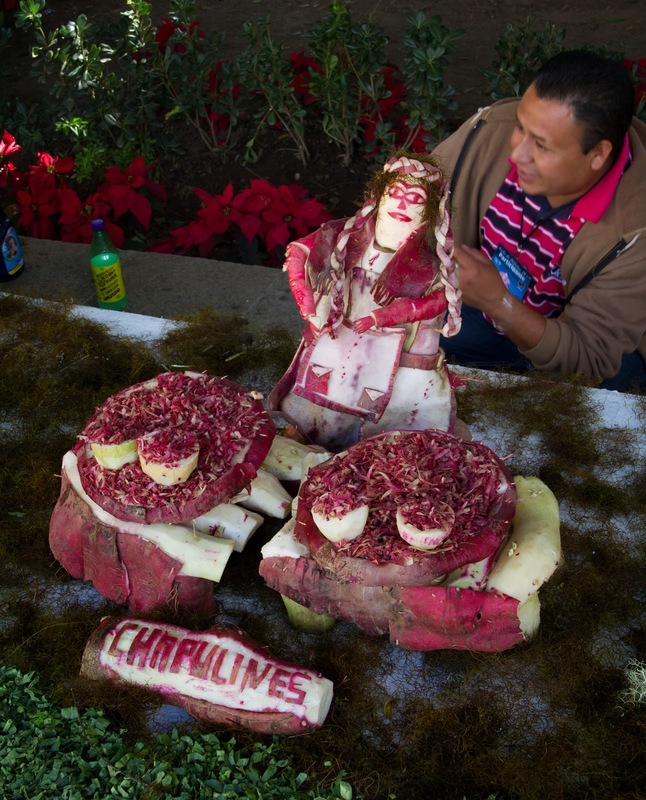 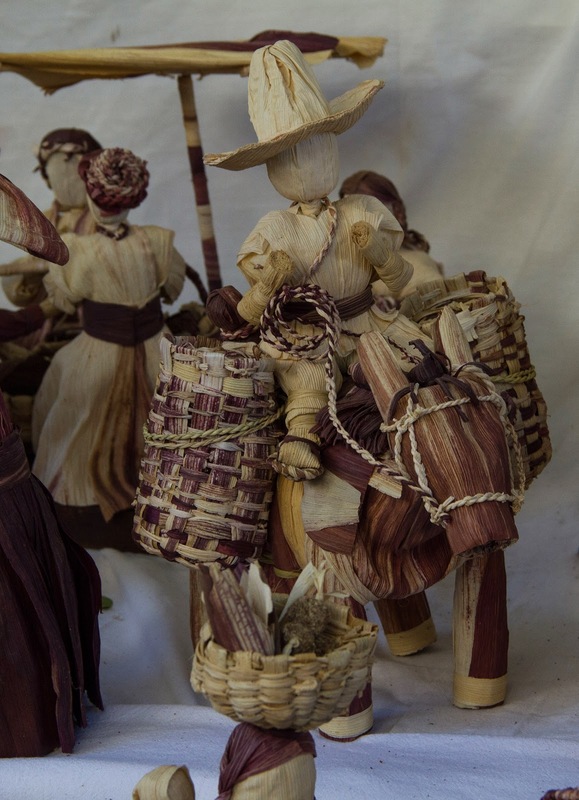 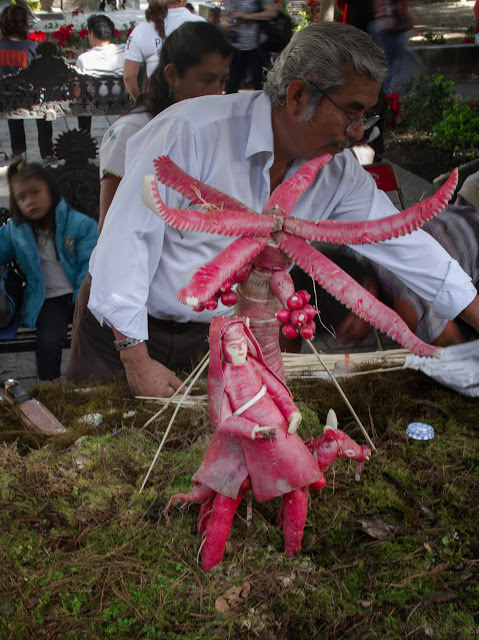 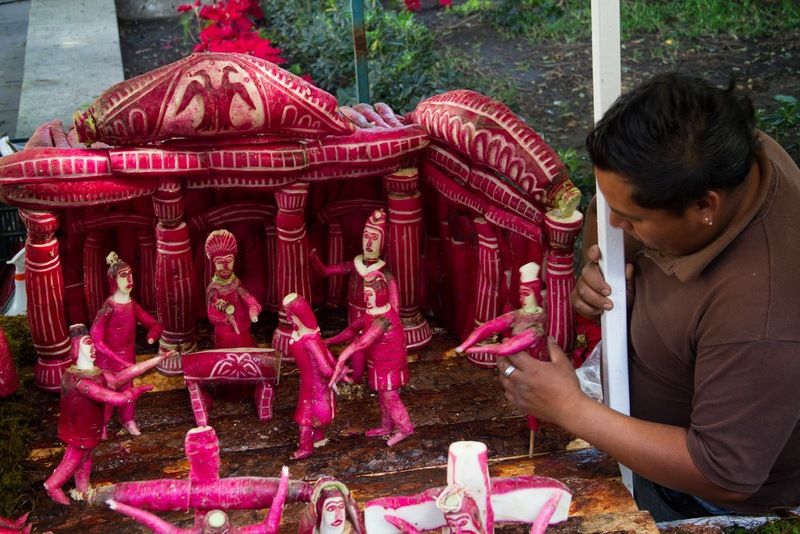 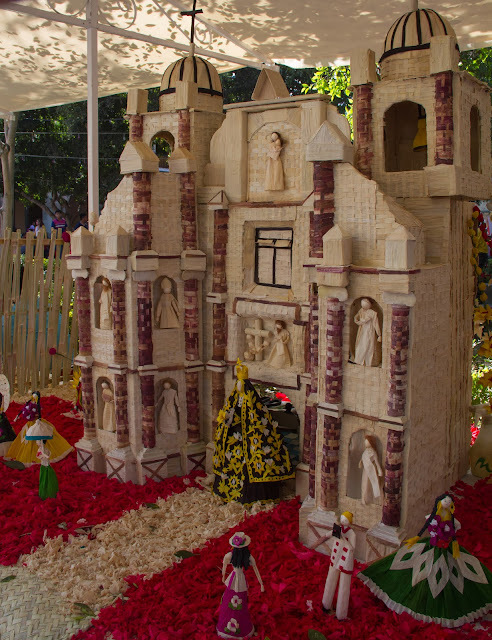 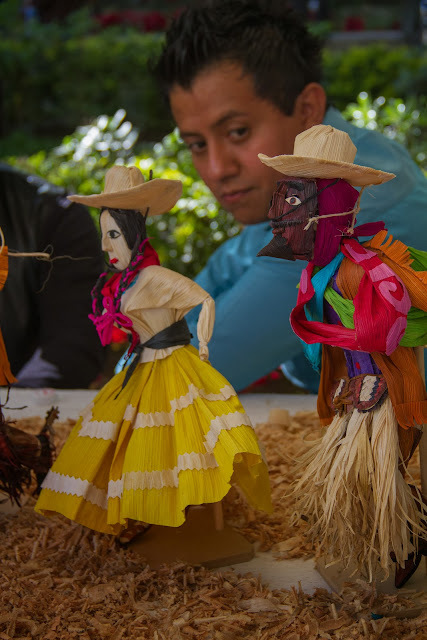 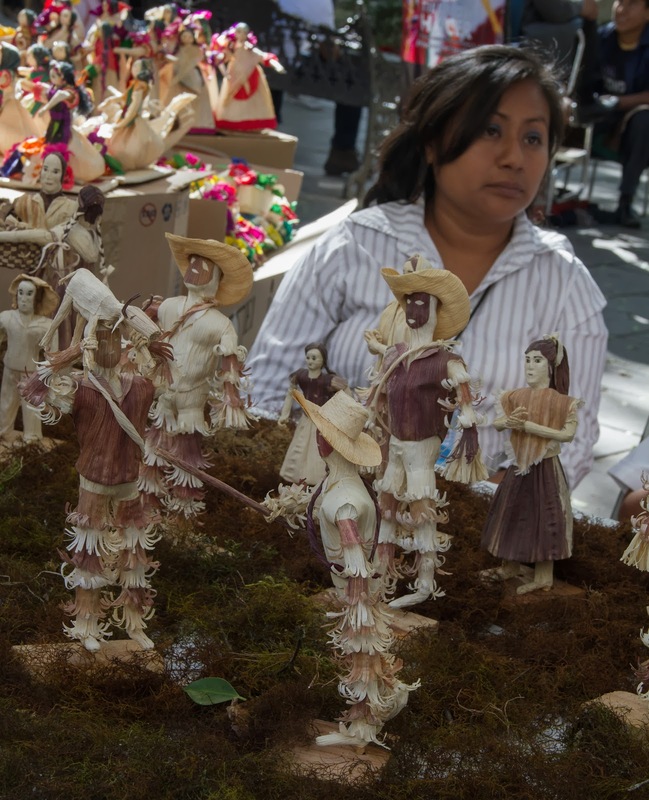 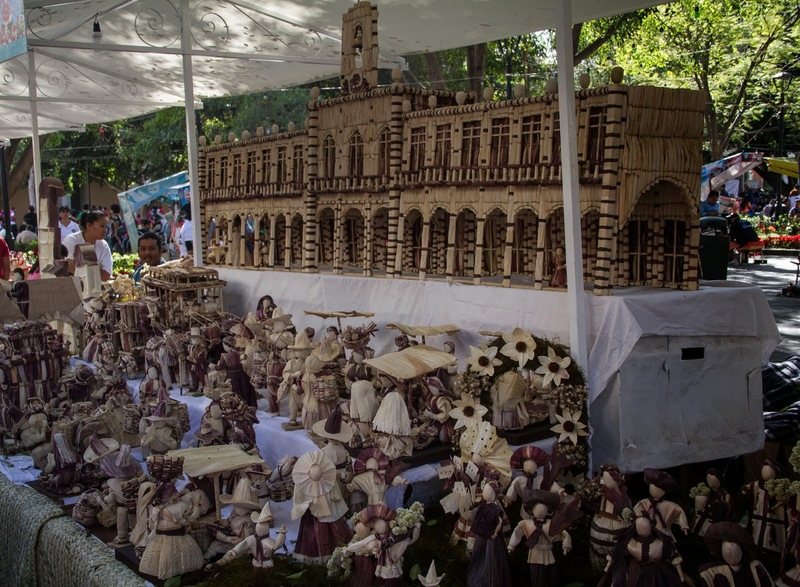 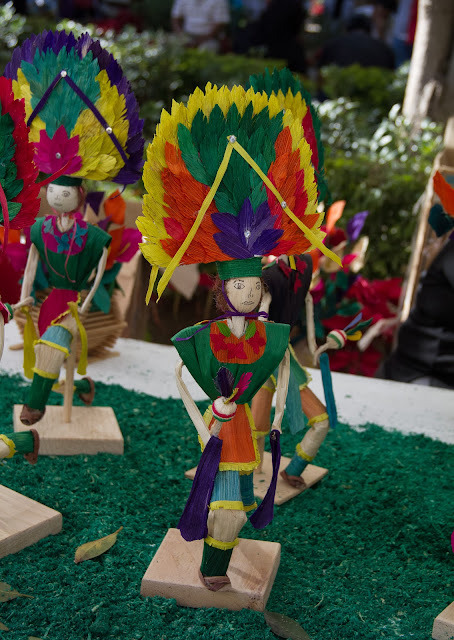 There are three different categories, dried flowers, carved radishes, and figures made from corn husks. The displays extend around three sides of the Zocalo. The pictures are simply in the order that existed. 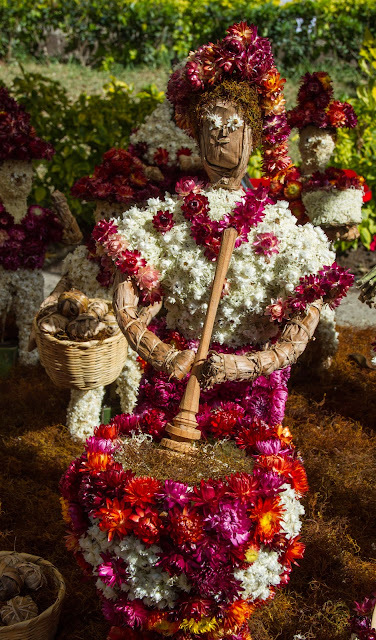 Chocolate made by a flower girl. 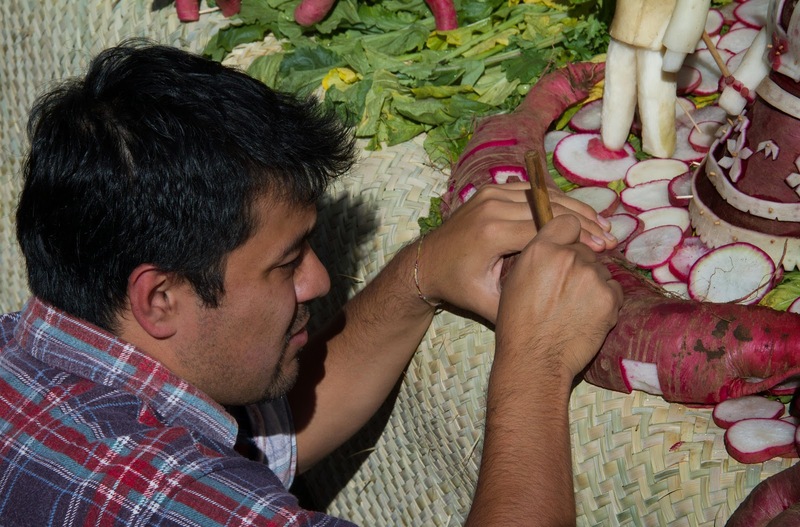 Working to the last minute. 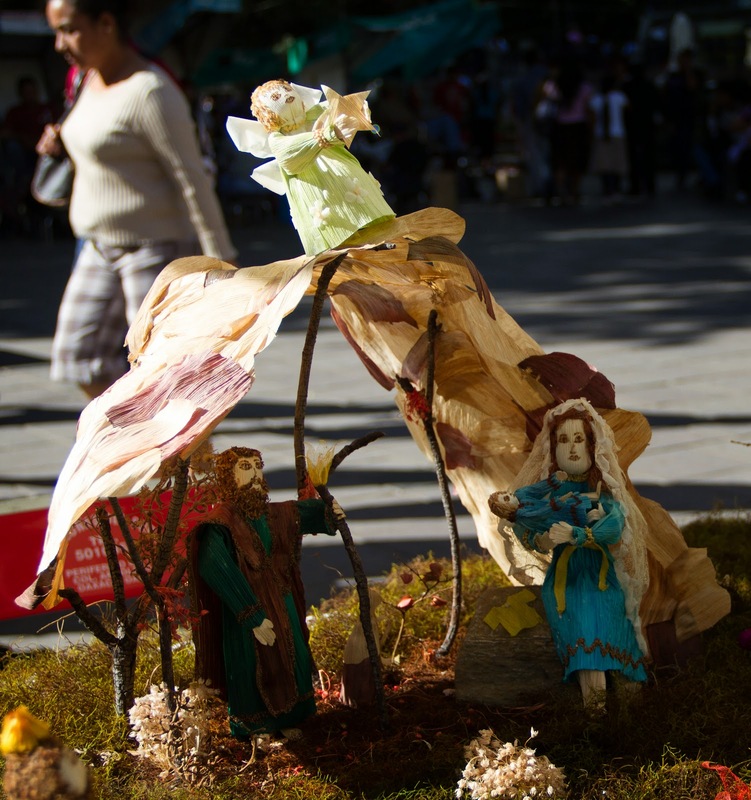 A mix of religions here, in front just out of sight, there's a crucifixion. Real chapulines are better than radish shavings. You have to love the detail of the corn husk figures, not even immature corn in Chinese restaurants is a small as the ear in the foreground basket. 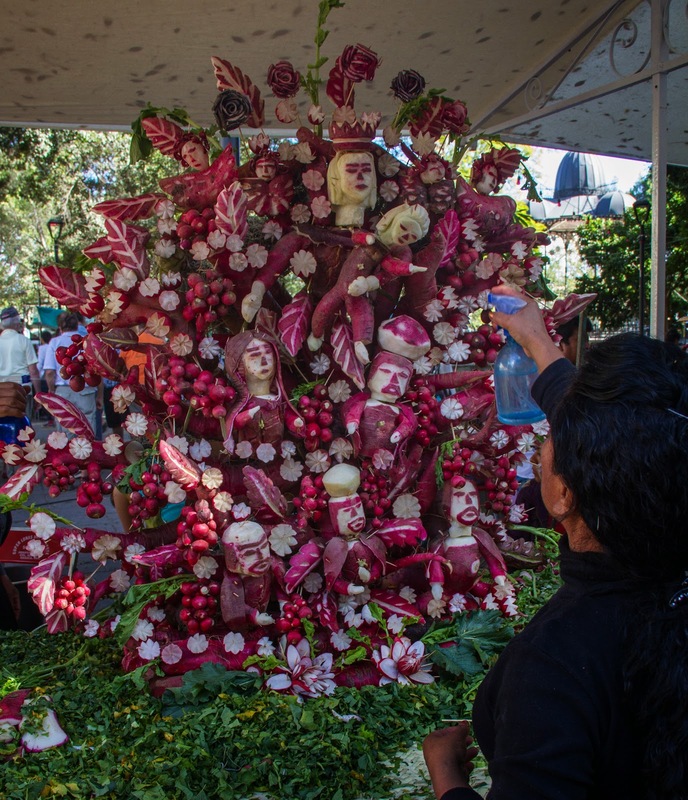 Guelaguetza and the dance of the pineapples. 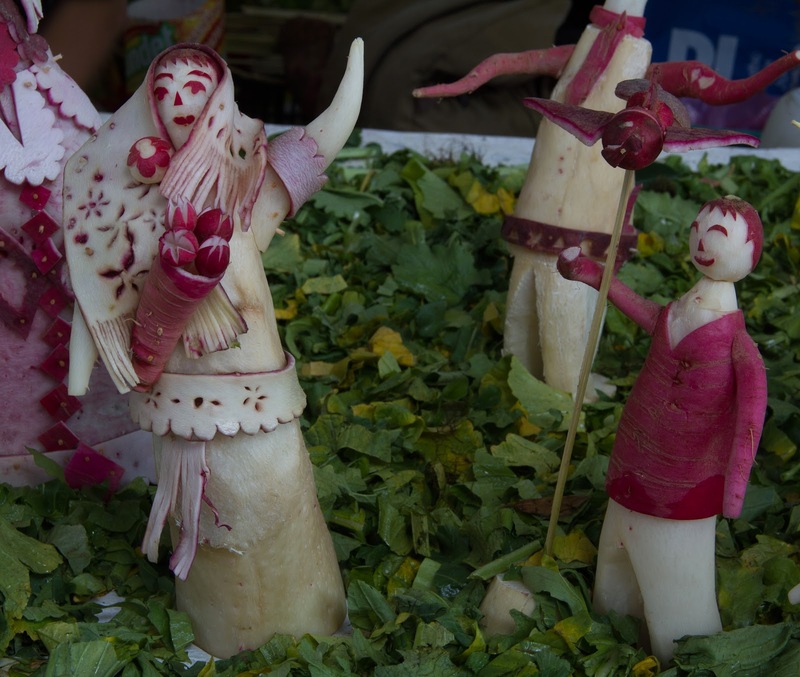 Things are calmer on the corn figure side, the detail work has been done beforehand, just set it up.